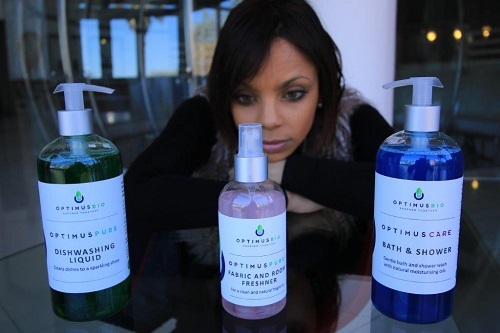 OptimusBio manufactures eco-friendly and biologically active cleaning and personal care products to replace the use of harsh chemicals. Our products are designed to provide an alternative to harsh chemicals which can cause negative health effects such as cancer, allergies and inflammatory diseases. These are becoming more prevalent in our modern-day lifestyles, where we make poor choices on foods, products and the way in which we interact with the environment. Furthermore, our products are completely biodegradable, which means we cover all the bases towards an alternative way of life. 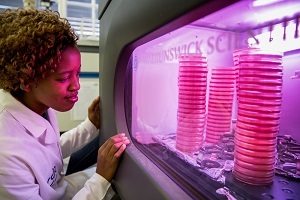 We’ve taken it a step further, using home grown technology developed by the CSIR, to make our products bio-active. Our safe and natural pro-biotic bacteria, act as natures machines to clean waste, which means that you start the waste treatment process at source. An added benefit of this technology is that it prevents odours and blockages in drains and traps, while you do your bit towards a more sustainable supply of water.Our packaging is also of the highest grade, which means it is re-usable, and our refills are miniaturised to reduce the environmental impact due to packaging, shipping and waste to landfill. 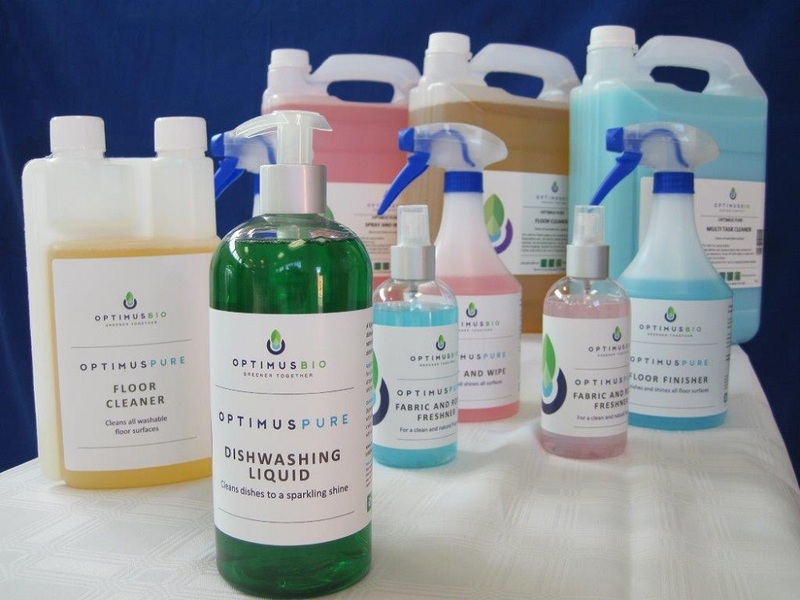 OptimusBio fully manufactures its complete product range locally, using the highest quality ingredients. We are a BBBEE Level 1 SMME, creating jobs for a young and vibrant cohort of scientists. Each batch is carefully monitored and quality controlled. Material Safety Data Sheets containing a complete ingredient disclosure and certificates of analysis for every batch are available from us.Most importantly, every product is a reflection of our personal touch and passion. Driven by a team of biotechnologists and engineers, we constantly develop and improve our products using the latest technologies, providing our industrial clients with the highest levels of technical support in the waste and water treatment areas. There’s a softer side to our humble beginnings, which was driven by my wife, who was a survivor of SLE an inflammatory disease, which resulted in her having a brain aneurysm. She now is a functional mother to two children. Our ethos thus remains people wellbeing, but this is to a large extent dependent on sound environmental practises. You won’t find our products, staff or partners associated with anything that is not good for the wellbeing of people, animals or the environment. For this reason, don’t expect to see our products at the major retailers, but we will deliver to your home, if you order online at www.optimusbio.com. 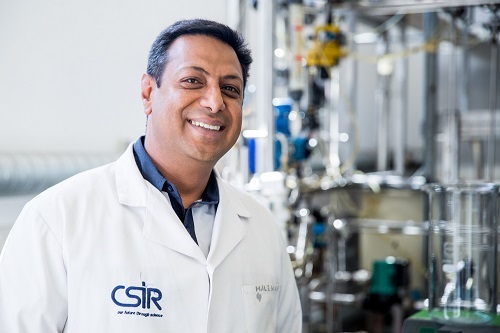 We also have a factory shop based at the CSIR, where you can visit us for a chat, experience the products, play in our formulations lab or see the production technologies in action. There’s always a discount going and a sneak peek at the new products under development. People are at the heart of everything we do at OptimusBio. Inherent in our value is the notion of togetherness. Science made simpler by the people, for the people. We provide the option of an alternate way of living. You now have the choice towards a healthier greener future.